In .NET Framework 4.0 the System.Xml APIs are obsolete and are maintained for compatibility reasons only. Web developers can create XML file by using LINQ to XML. 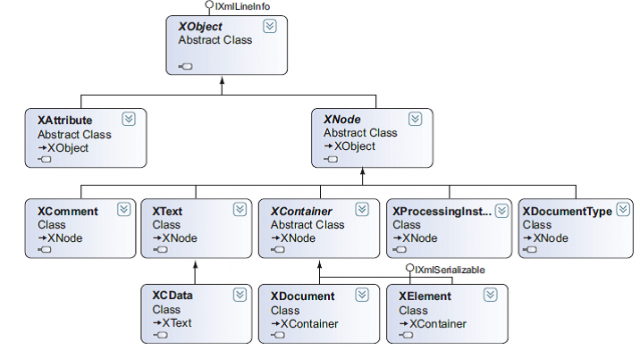 The next picture presents classes in LINQ to XML. 1. Web developer has to create an XDocument instance and, in its constructor has to pass XElement instance that create the root node. 2. The XElement constructor takes a list of XElement instances that represent the children. Based on this design, Web developer can create the whole XML in a single statement, by nesting XElement instances. If his/her code is well structured it easy to understand.